To fight crime and attacked the robbers. For example, in advance to wear a bulletproof vest and helmet, qualified for black belt in Eastern martial arts or to get the police license to purchase and carry guns. And you can do it easier with less energy and money is to buy one of the three main types of weapons for self-defense, which do not need registration and a special safe storage. These include air pistol, pepper spray and a Taser. Federal law is quite clearly separates the weapons. Two of them, namely those that can be purchased and stored only in special license and are in a relatively free market. To the last "gun" legislation include mechanical gazorazdelitel, aerosol irritants and tear substances, devices to achieve the effect of shocks, spark gaps, and weak pneumatic weapons with muzzle energy up to 7,5 j and calibre not exceeding 4.5 mm. Resembling outwardly an ordinary military weapon, air gun really is not as formidable as you might think. In any case, most experts on security issues think Pneumatics are the most useless of all kinds of weapons. The only advantage of this gun is quite common in the late twentieth century, can be considered his "similarity" to current military weapons. This, by the way, actively seeking and producers themselves, who know about low in recent years, the demand and focusing on psychology. Much more professionals like the ability to use the iron analogue of the gun as a kind of weighting when you punch. The minuses, at least not less. In particular, the shot of Pneumatics can be scary, perhaps only a fly or dog. But man is special, he won't do any harm. In winter, when people on the street wear mostly tight clothes, shoot you attacked the robber with a knife and does not make sense. Is that from fear or to even more to piss him off. But in this case there is a high probability that the villain not only take away the purse, and "toy", but still will give it you on the head. A great and practical thing for self-defense, in particular, for weak girls. Compact, small size canister fits into the handbag or pocket of an autumn jacket without attracting outside attention. Another plus, besides the ability to easily and cheaply buy enough high efficiency. Sprayed his attacker in the face, especially the "Pepper" or "Shot", the potential victim could escape. Or, if you allow strength and physical training, give the guy in the head and twist ahoy. It is highly popular as a subject of self-defense, is the stun gun. It is also a fairly compact device, with only electrodes, giving not very dangerous to the health of the discharge current. Its main value lies in the fact that, after receiving the discharge, especially in the open surface of the body, your opponent will probably just fall into a short-term shock and being partially paralyzed, will cease to understand what was going on, but literally freezes on the spot. About the same as frozen Brazil after the defeat of his team in the semifinal of the 2014 world Cup from Germany with the score 1:7. 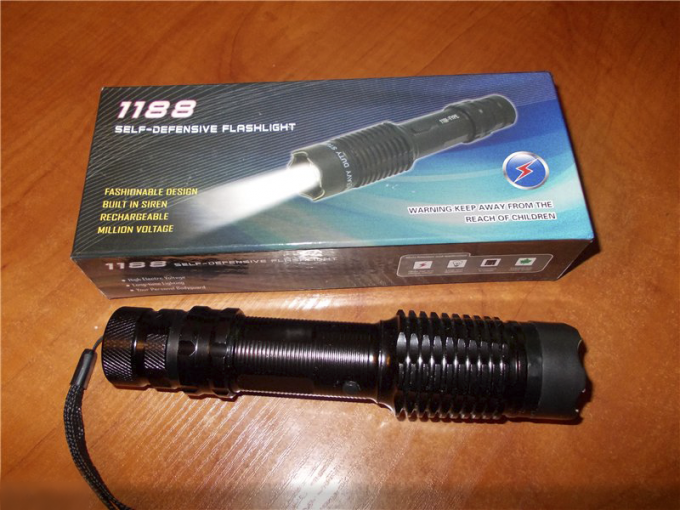 In addition, a shocking device a good disguise, because it is produced in the form of, for example, a flashlight, a mobile phone or a simple lighter. Minus one — the category of bad breaks winter clothes. Don't need a license to be a fairly common type of a cold weapon, like a knife. But using it in a street conflict, even if the police and the court thinks you are a victim and victims, it is still fraught with punishment under several articles of the Criminal code. Your weapon is and athletes. And it's not just the proverbial baseball bat in the trunk, but also, for example, a rapier fencer, stick hockey on grass, hammer athlete or a sports pistol shooter. However, you'll need another license, to obtain which is much more complicated — as a professional athlete.